We've just about resigned ourselves to not making it to the slopes this side of spring. 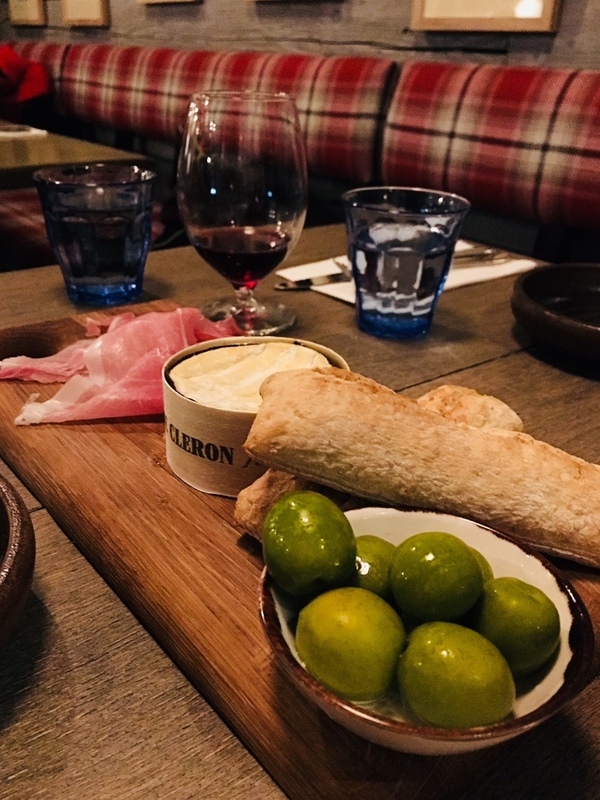 But we're still wistful about the tartiflette and the fondue pots and the raclette wheels, or the fifty other variations of hot-cheese-on-carbs. Along comes The White Haus, with its three floors of Alpine food and kitschy ski lodge-themed decor, to remind us that you don't technically need to ski to still put away cheese like there's no tomorrow. 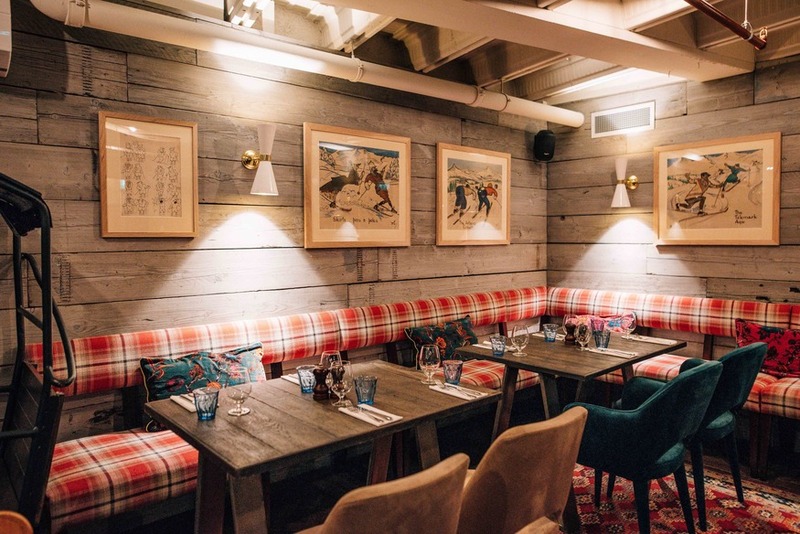 It might be the total-immersion ski lodge design or the blustery weather outside, but the Farringdon restaurant's menu coaxes us into eating like we would after a day of subzero piste-skimming. The main dishes are nailing it: hearty, and with more going on than just the (still very appealing) stacks-of-cheese or stacks-of-wurst route. Chicken schnitzel's served massive and Holstein-style, the fried eggs and anchovies turning it into a joltingly rich punch of fried-crumb crispiness, ooze and saltiness. The wurst, tucked away modestly in the sandwich section of the menu, comes as an enormous length of smoked Bavarian sausage, edged by sauerkraut, salad and mustardy potatoes. It's simple, substantial to the point of being faintly reckless to tackle solo — and at £9, seriously good value for this corner of the City. The White Haus: three floors of mountain food. Photo by Lydia Manch. The portion size vs. descriptions could use some work. The wurst's far heftier than we expected. On the flip side, what The White Haus calls a Vacherin sharing board (£18), we call Baby Baked Cheese For One. Vacherin's pricey to serve, sure, but some more cornichons, tomatoes or extra carbs would bulk up the offering a bit. The White Haus is packed out the evening we're there: work party up top, drinkers in the ground-floor bar and date nights/family groups in the basement restaurant. Between the friendly jostle and the clinking tankards, the early 90s playlist and the smell of baked reblechon, this all-après, zero-ski restaurant is living up to a lot of our mountain-resort daydreams. The White Haus, 17 Farringdon Street, EC4A 4AB.